I like it--and it would be very appropriate for a knitting shop! Clever - thanks for sharing, Sue. Gotta laugh! That's what happens when you get disgusted with a "bad" yarn, except my needles would be stabbing it!! Or on the wall of your craft room. Very cute. If put in one of those display frames under glass, it wouldn't be a dust collector and I think it would look cute on the wall of a craft room. 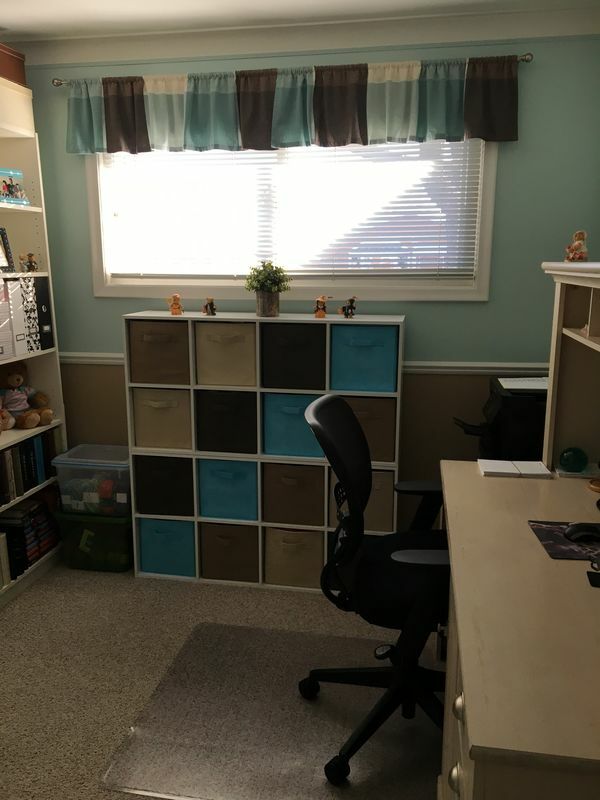 I may use this idea for my computer/craft room. 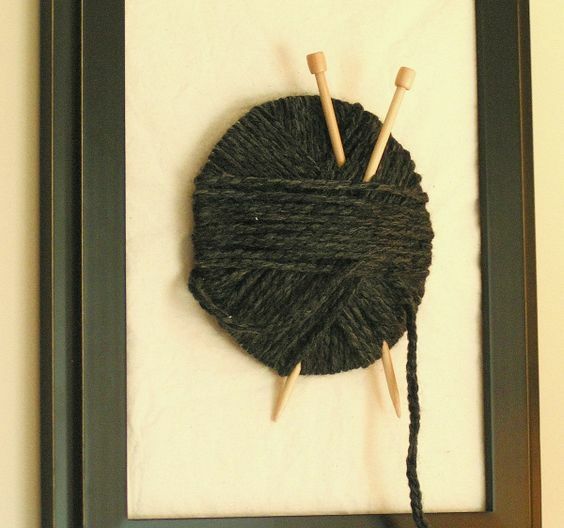 I've had the same pictures hanging in here for over ten years and would like something "yarny". I like Evie RM's idea to put it in a glassed box frame. I realized it wouldn't work in the spot I had in mind because a box frame would stick out to much and would be bumped into a lot, but I like your idea of making a card. I don't make cards, but I would buy it from you and display it on an easel. Would look great on the book shelves on the opposite wall! OH, wouldn't some colorful striped yarn be lovely? change direction of wrapping each color change? Going to save as an idea for when I redecorate sewing room. Thanks for sharing. Or, with colorful yarn, this could be an ornament for Christmas exchange with knitting group! Well I will get to it and show you what I come up with ...need to try skewers to see if they'd look ok...any particular color yarn in mind? How exciting! Oh, for yarn color anything in teal or turquoise would be good. I'm attaching a picture of the room taken last fall. I think the spot under the window where the plant is would be perfect. It would be seem right from the doorway. Hope you can work out the knitting needles and thank you!